March Special: Receive a FREE Celtic Pendant for St. Patty’s Day! 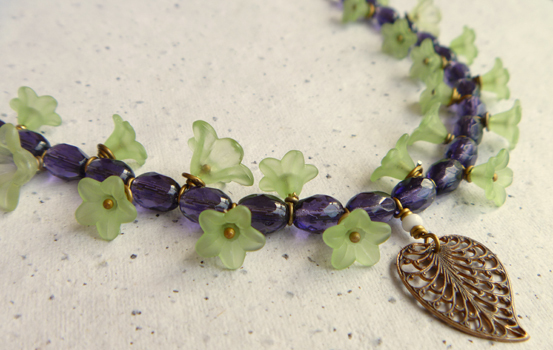 The Bead Bazaar’s leprechauns have been busy this March! With everyone’s favorite Irish holiday drawing near, we’re saying “Top of the Mornin’ to ye!” with a give-away. 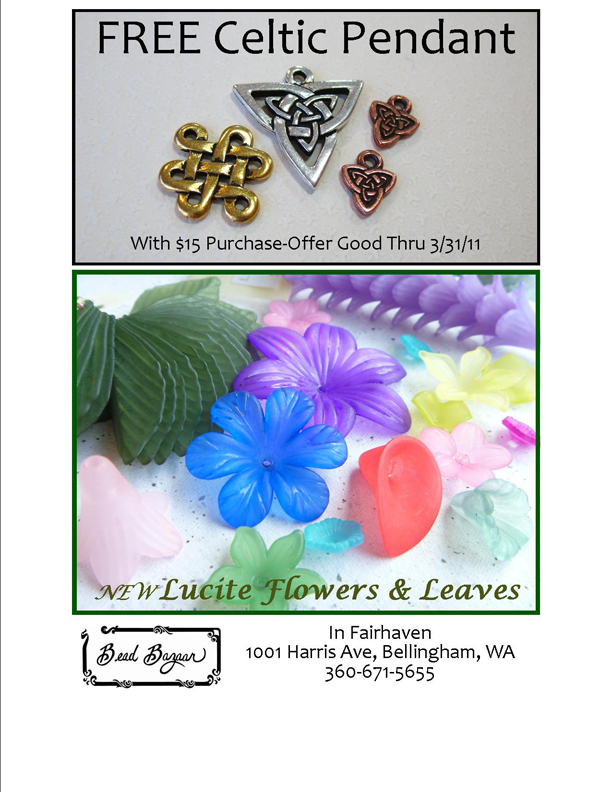 Now through March 31st, customers get to choose one free Celtic pendant (or a pair of small Celtic charms) with any purchase over $15. Whether you’d prefer copper, silver, or some lucky gold, this assortment of charms is sure to compliment your festive Irish greens. Choose from circular knots, long Celtic braids, or the classic triquetra. The triquetra is especially appropriate for St. Patrick’s day, recalling the symbolism of three also found in shamrocks. St. Patrick’s Day has us all thinking green, which is perfect for a spring holiday. Add a healthy dose of green to your jewelry with our new stock of lucite leaves, available in many sizes and shades. Green blossoms provide a fun alternative to foliage. Our luscious lucite flowers give a fresh breath of color after winter’s gray days; enliven your designs with our elegant hyacinths, adorable forget-me-nots, and exotic orchids. 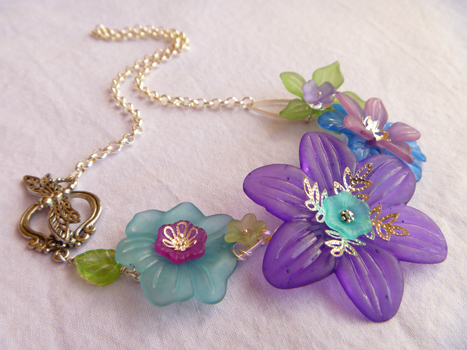 Flowers and leaves made from lucite can be made with more details than their glass counterparts, making designs more realistic. Don’t forget to drop in at the Bead Bazaar for any of your St. Patrick’s day needs, and receive a little Irish token as well! We look forward to seeing you.